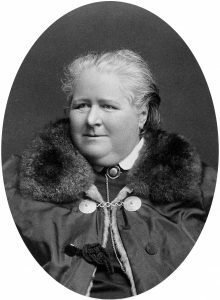 Frances Power Cobbe was an Irish writer, social reformer, anti-vivisection activist, and leading women’s suffrage campaigner. She was born in 1822 in Newbridge House on her family estate in what is now Donabate, Co. Dublin. The youngest of five children, and the only girl, she was d enied access to a full education. However, she was a voracious reader and began to educate herself in history, literature, geometry, astronomy, philosophy, and writing. In 1857, Cobbe received a modest inheritance upon her father’s death and, although she was expected to use this money to settle down, she instead set off on her travels, journeying through Italy, Greece, Egypt, Palestine and Syria, camping alone in the desert. Upon her return she moved to London and turned her attention to writing. She worked her way up to becoming the second leader writer for The Echo newspaper, and published books including ‘Future Prospects of Religious Faith’ (1964), which would be her biggest literary success. Cobbe used her writing to advocate for social change and in 1861, her articles on women’s rights exposed the conditions women were being subjected to, including high levels of spousal abuse. Her articles, and the outcry they inspired, influenced the Matrimonial Causes Act of 1978 which gave a wife the right to a separation with maintenance. My interest in Frances was first piqued when I read about the work that she had done in highlighting animal cruelty and advocating for strengthening the law on animal experimentation. She became one of the leaders of the anti-vivisection movement and founded the Society for the Protection of Animals Liable to Vivisection (SPALV), which was the world’s first organisation campaigning against animal experiments. A year later, her campaigning led to Cruelty to Animals Act of 1876, which called for the regulation of animal experimentation. Cobbe died in 1904. She was a forced to be reckoned with and an inspiration for both women’s rights and animal right’s campaigners. I was recently leafing through a magazine and came across a series of striking photographs by American photographer Margaret Bourke-White. I had never heard of her before but my interest was piqued and I looked her up online. She was born in 1904 in New York and has an impressive number of ‘firsts’ to her name: the first foreign photographer allowed to take pictures in the Soviet Union, the first female war correspondent and the first female staff photographer for LIFE Magazine. Travelling all over the world, often on her own, she covered the 1930s industrial revolution in the USSR, making her the first Western photographer accredited to enter the Soviet Union. 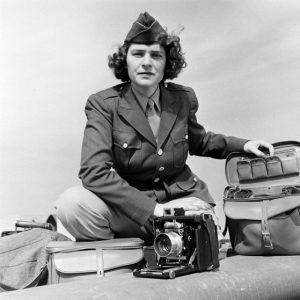 Subsequently, she became the first female photographer accredited to cover World War II combat zones. In 1941, she is believed to have been the only photographer in Moscow during German raids of the Kremlin, and she documented Nazi atrocities in Europe, shadowing the U.S. Army. After the war, she recorded the independence movement in India and captured the final years of Mahatma Ghandi’s life. I find her life incredibly interesting and her courage and appetite for adventure very inspiring. I look forward to reading her autobiography, Portrait of Myself, which has shot to the top of my to-read list. 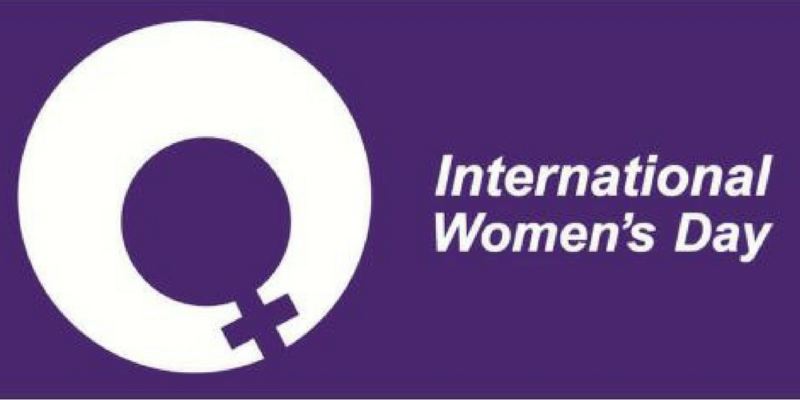 I have lived through many international women’s days, and have contributed to past DHR blogs on who has inspired me. So, to avoid repetition, there are a few women who have passed away recently, who I think deserve to be remembered for their contributions. In February, Brenda Barnes came to my attention for the first time. Sadly, it was from reading her obituary in the Financial Times. She was an American business woman who made history by becoming the first woman CEO of Pepsi Cola. She made the news when she quit that position to look after her family. Her obituary said that she never sought to be a role model. My posthumous, belated research has inspired me: she was a thoroughly honest, change–maker. The past weeks also saw the passing of Sherie de Burgh. I worked with her when she headed the IFPA’s pregnancy counselling service, and she later moved on to work with One Family. As a counsellor, she went beyond her responsibilities and duties. 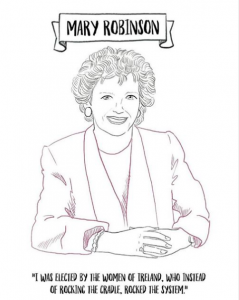 She was a powerful, yet quiet, advocate for girls and women, especially the most disadvantaged and disempowered. The year opened with the sad loss of Veronica Steele, founder of Mileens cheese. She was credited (and deservedly so) for blazing the trail for farmhouse and artisan food produce. I was lucky to meet Veronica in 2012, when she was part of a group of volunteers who travelled out to Lalibela in Ethiopia to improve the skills of the local community so they could cater better for tourists. On that trip, Veronica got stuck in. Her cheese-making classes became the biggest hit of our mission. Apart from identifying the best cheese to make, given the quality of milk and the prevailing conditions, she also identified the correct caves (shared by some cattle) to place the cheese in while it ripened. Veronica’s willingness to share her skills was just one insight to her character: she was a philosopher, intellectual and extremely witty. It was tragic to learn, shortly after that trip to Ethiopia, that she was diagnosed with a debilitating, life-limiting disease. All three women died too young. All made significant contributions. All deserve to be remembered. I’m very lucky to have many inspiring women in my life, and I’m constantly inspired by women from all walks of life in modern society and throughou t history. This International Women’s Day, I’m inspired by my twin sister, Karen Harte. Just yesterday, Karen launched MINE – a unique anthology of art and illustrations supporting the Abortion Rights Campaign and highlighting the need for abortion reform. The anthology is beautiful and the illustrations from 30 contributors were collated by Karen, including her own incredible artwork. 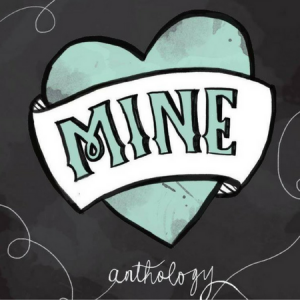 Following a successful Kickstarter campaign, the MINE anthology was launched last night at a special event, on the eve of International Women’s Day, with amazing speakers including Tara Flynn, who wrote the foreword to the anthology and performances by fantastic all-female bands Æ MAK and Mongoose. There were almost 200people in attendance, and the energy in the room was electric. Iwas particularly moved by Sarah Maria Griffin’s reading of her stunning poem, ‘We Face This Land’. 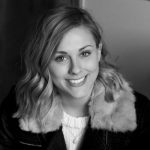 Her words inspired me to read more poetry – poetry that is being made in our times for us, by us (she mentioned Buzzfeed Poetry as a great source) and that it has the power to make a difference. 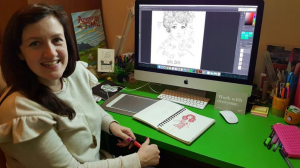 Graphic designer and illustrator by day (and night! ), Karen was compelled to do something and join the movement to repeal the 8th. She has inspired me so much as she has channelled her talent and creativity into her own unique response, and also offered other fellow artists an outlet and opportunity to express their thoughts, beliefs an d emotions about this critical issue for women in Irish society. I first came across Sheryl Sandberg while reading the weekly newsletter ‘Lenny Letter’ by the, equally inspiring, Lena Dunham. In the newsletter, Lena recognises her as the woman who succeeded in helping her to change her life. Lena Dunham’s Lenny Letter is already a source of inspiration for me as it approaches the many challenging issues women face with honesty and wit. So, when Lena praised this woman so highly, I had to find out more. 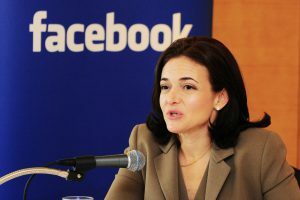 Sheryl Sandberg is the Chief Operating Officer at Facebook and was the first woman to join Facebook’s board of directors. Before she joined Facebook, she was the Vice President of Global Online Sales and Operations at Google, where she was heavily involved in creating Google’s philanthropic site, Google.org. She is also a women’s rights activist and founded the Lean In Foundation in 2013, which she says is dedicated to “to offering women the ongoing inspiration and support to help them achieve their goals”. She urges women to celebrate each other’s accomplishments and fight for respect and equal pay and opportunities in the workplace. In 2016, she launched the #LeanInTogether campaign which champions successful women and encourages women to work together. Sheryl Sandberg is an incredibly interesting woman. Her courageous women’s rights activism, her admirable philanthropic work and her international success in the male-dominated tech industry are compelling and inspirational to me. 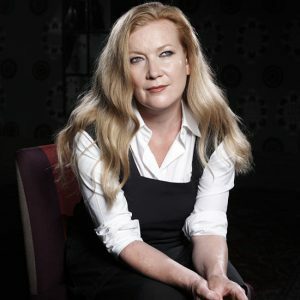 Writer/director Andrea Arnold is someone I’ve always admired and her films have always resonated deeply with me. From her Academy Award-winning debut short ‘Wasp’ to last year’s ‘American Honey’, there are few who can capture the frustrations of youth and anxieties of adulthood with the needle-point accuracy she does. Her work manages to combine kitchen-sink realism with something modern and completely her own and she always wrangles wonderful performers from her casts of mostly non-actors.